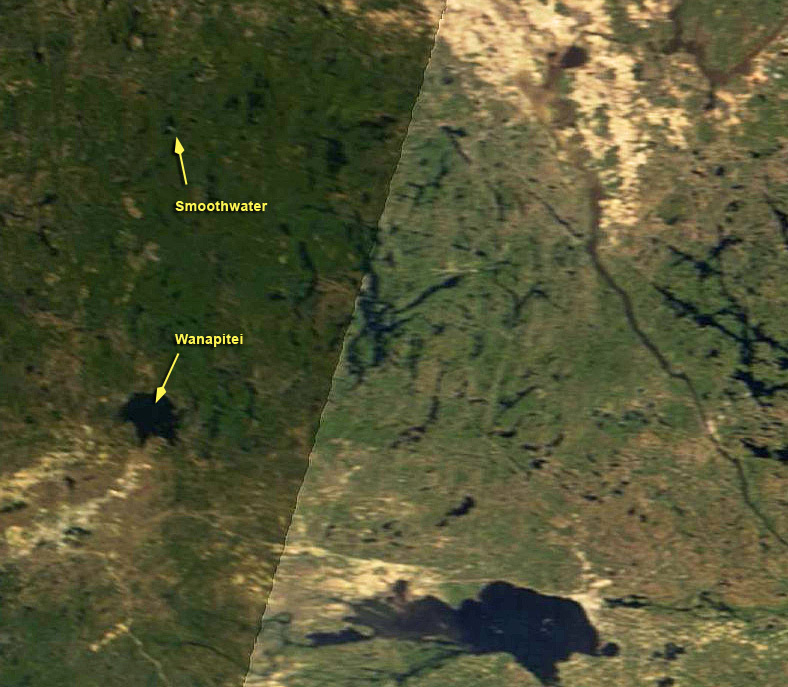 There is no ice visible on Lake Temagami, our benchmark, in this satellite view. After reports from Dave Wilfong and Harold Keevil on the water on the North Arm, we are declaring today as ice-out. We usually look for early record-setting, but this year we set a late record going back to 1985. There is still visible ice floes on Lake Wanapitei and a large floe in the middle of Smoothwater Lake.